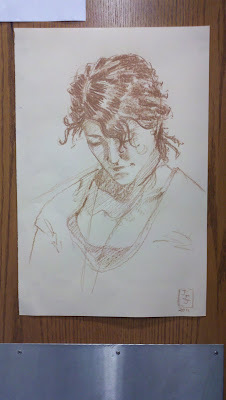 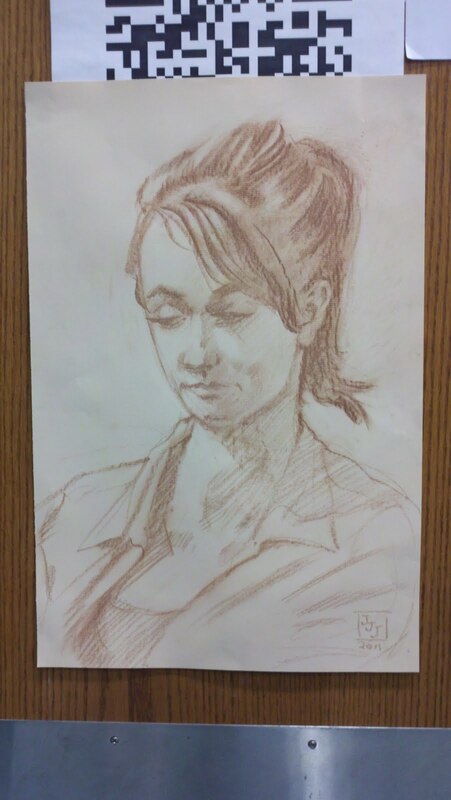 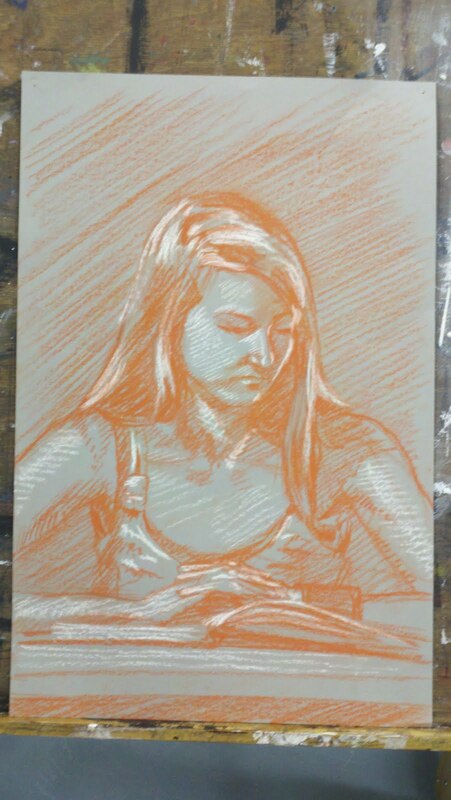 I schedule portraiture towards the end of our semester of drawing class. 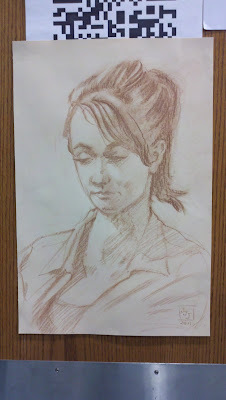 Models come from a corresponding study hall. 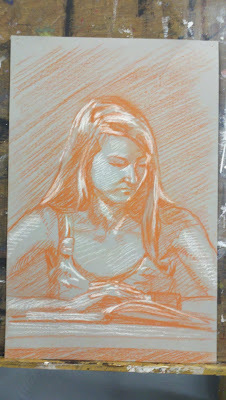 I demonstrate basic proportions and then we get to work. 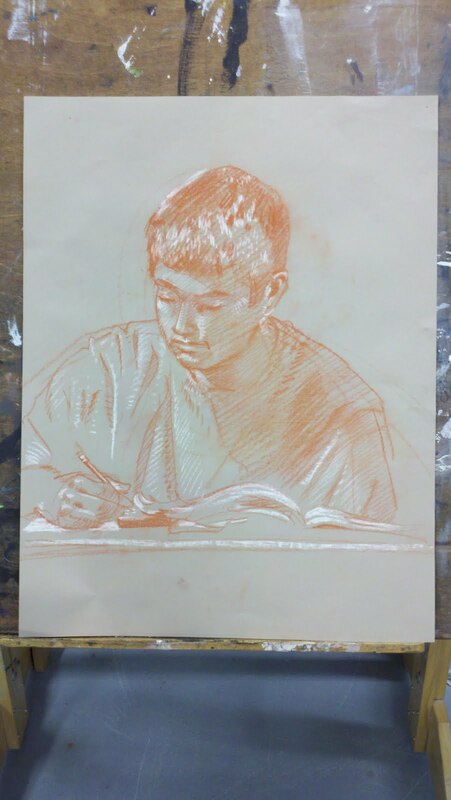 These drawings are made side-by-side with students as they are working. I usually give my drawings to the models.